"Washington is not a place to live in. 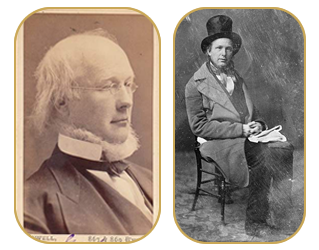 The rents are high, the food is bad, the dust is disgusting, and the morals are deplorable - Go West young man, go west and grow up with the country"
Born to a poor family in Amherst, New Hampshire, Horace Greeley would become the founder and influential editor to The New York Tribune. He was most known for his editorials in favor of school reform, westward expansion, and the opposition to drinking, smoking, slavery, gambling, prostitution and flogging in the Navy. In 1872 he ran for president against Republican incumbent Ulysses S. Grant and lost despite being nominated by two separate parties. 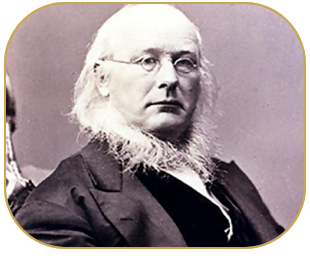 After losing his wife amd learning of a movement to unseat him as head editor within a two week span, Greeley's health rapidly deteriorated. He died on November 29 before the Electoral College and his votes were divided among four others. Hank Monk is most famously known for driving Greeley by stagecoach from Carson City to the Cary House, thats 110 miles, in 10 hours, so that Greeley could make his speech from our balcony on time.